This week, Dispatches from the Field welcomes guest blogger Sian Green, who shares some stories about her ‘fieldwork style’. For more about Sian, check out her bio at the end of the post. For my 21st birthday I wanted what all girls want…a new pair of shoes! I got my wish and, although they were somewhat lacking in heels and glitter, since then they have taken me all over the world and been an essential part of my fieldwork outfit for nearly 5 years now. When you’re on your feet and walking long distances day after day, a good, comfortable pair of boots can make a big difference! My poor, finally beaten, boots. 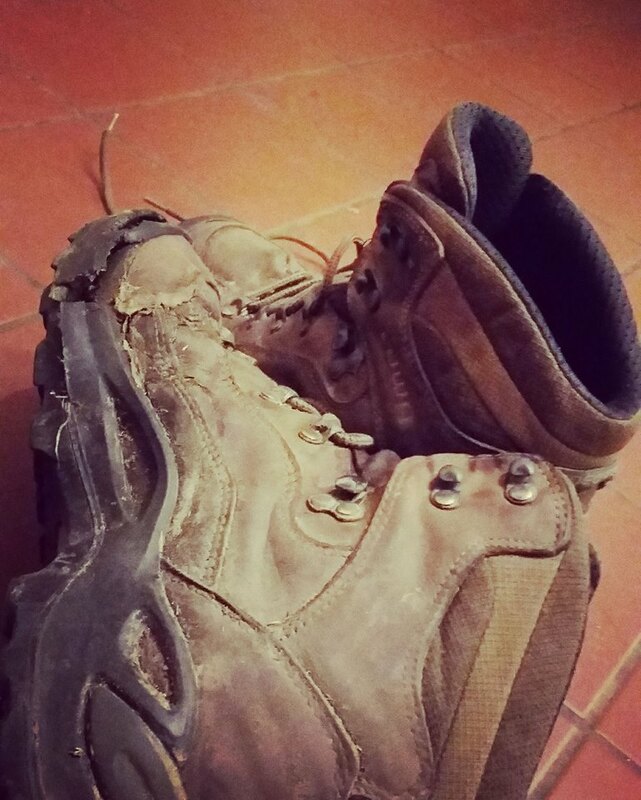 My boots have travelled with me to Costa Rica, Tanzania and Kenya; however, sadly, during my last expedition to Romania, while trekking the Carpathian foothills in search of large mammals, they walked their last mile. Having been soaked in the dewy grass every morning then baked by the fierce Transylvanian summer sun every afternoon, they finally fell apart. In memory of my favourite pair of shoes, I thought I would share some of the most memorable moments I had whilst wearing them out in the field. Scariest moment: After graduating from my BSc in Zoology, I wanted to get some more field experience. I decided to volunteer on a project in Costa Rica, working in a remote camp in the jungle, right next to a turtle nesting beach. 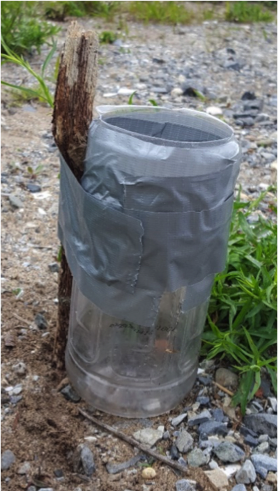 At night we would go out along the beach to monitor the turtles, recording condition and taking shell measurements, as well as marking locations of new nests. On one night we saw a turtle about to start digging her nest. Not wanting to disturb her at this crucial point, we walked on and spotted another turtle about 25 meters up the beach. She had finished laying her eggs, so we set to work measuring her shell. I should mention at this point that it is important to use minimal light, and only red light on torches, so as not to disturb the turtles, meaning visibility was limited. Anyway, having finished measuring our turtle, we turned back to see if the first turtle had finished her nest…only to find her carcass lying on the beach surrounded by large jaguar tracks! This silent hunter had made a kill a few metres away from us in the dark and was surely now watching us from the forest edge…possibly annoyed by having been disturbed from its dinner. Needless to say, we moved on quickly and kept in a tight group at a healthy distance from the forest edge after that! A green turtle carcass. 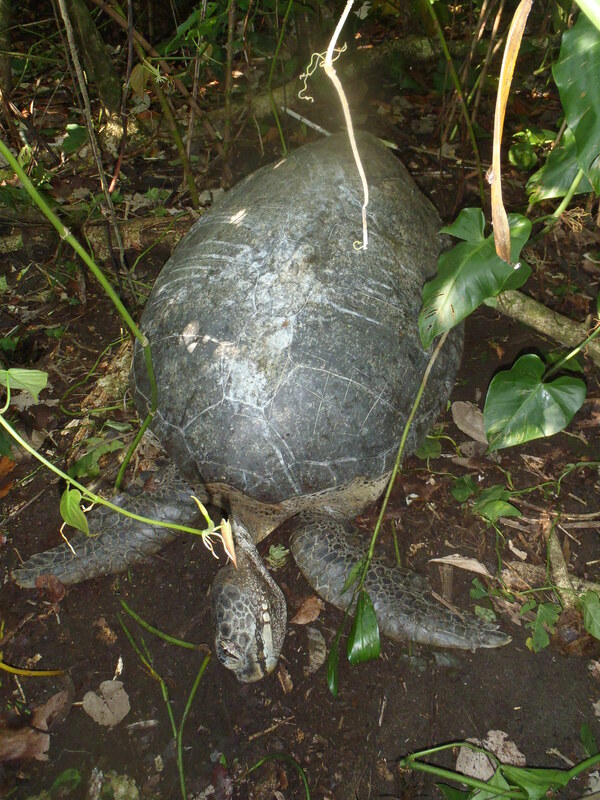 Jaguar predation of turtles seems to be on the rise, and is being monitored in Costa Rica. Proudest moment: I am very proud of all the fieldwork I have done, in particular my work in Kenya I undertook as part of my own independent research project for my Masters thesis. Of course, I am proud of my thesis, but sometimes it’s the little things that really stick in your memory. To study the elephants using the Mount Kenya Elephant Corridor, I set up a grid of camera traps. I would regularly trek through the corridor to check the cameras, aided and guided by rangers from the Mount Kenya Trust. I am tremendously grateful to these extremely helpful rangers… but they were sometimes almost too helpful, insisting on doing all the climbing and retrieving of awkwardly-placed cameras. After a couple of expeditions, my confidence grew and I started to feel I needed to prove a point – that I could climb trees just as well as they could! At one point this did result in me being up a tree covered in biting ants while playing it cool and pretending I was totally fine – but mentally questioning whether it was worth it to prove my point! 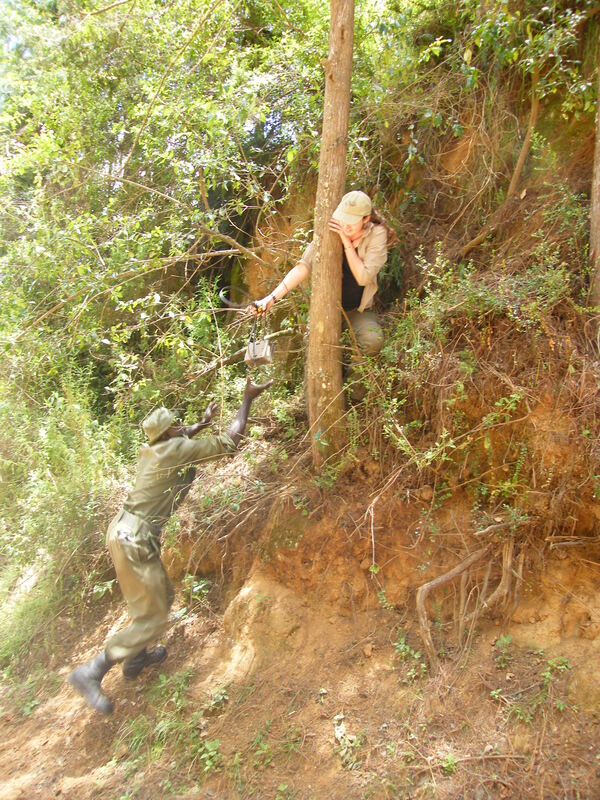 But one very satisfying moment came when a ranger was unable to unlock one of the padlocks attaching our camera to a tree. I asked if he wanted me to try but he said no and called over one of the other rangers, who also failed to get the key to budge. Ignoring me, they called over a third (male) ranger. While they were discussing the problem, I went over, gave the key a jiggle and the lock popped straight open! They were all very impressed and claimed that I must be very strong. I think it was more about technique than strength, but I wasn’t about to correct them! Positioning camera traps to catch elephant images, while keeping them out the way of curious hyenas! Most rewarding moments: All surveys are important, even when you don’t find what you are looking for. In fact, the latter type of survey can sometimes be the most important, as if you don’t find what you are expecting it may indicate a decline in population, or lack of accurate understanding of a species’ biology. This is what I would explain to all the volunteers I led on large mammal surveys when working in Transylvania. 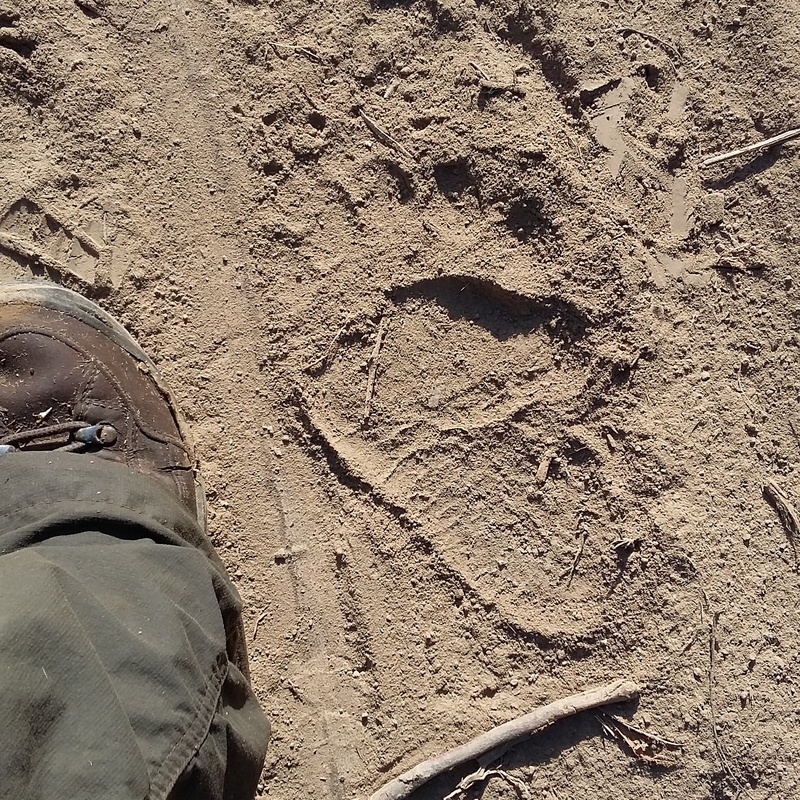 However, there is no denying that it is hugely rewarding when your hours of trekking up steep slopes result in finding a beautiful trail of perfect brown bear prints, or when that early start results in getting to see your (normally elusive) study species. Working in Transylvania was incredible, as we found signs and got camera trap footage of many elusive mammals, including martens, badgers, foxes, wild boar, wildcat and brown bear – and I even got to see a brown bear! European brown bear tracks found while out on survey in rural Transylvania. This fieldwork was also particularly rewarding because I got to share my knowledge and experience with the volunteers that came out. Teaching camera trapping skills and seeing how excited everyone got when we checked the memory cards was a great feeling. Hopefully some of these volunteers will go on to use the knowledge further on their own fieldwork adventures – and hopefully they will remember to pack a good pair of shoes! 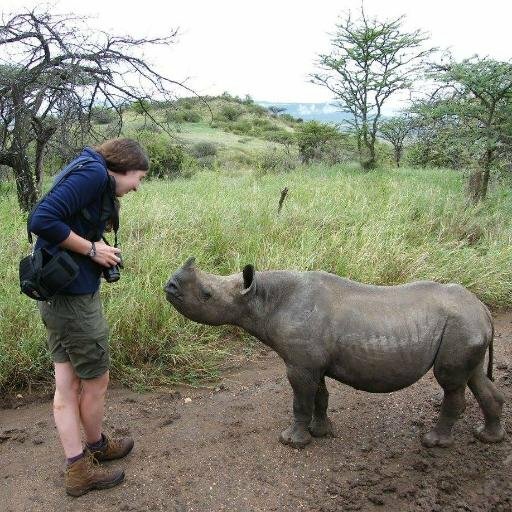 Sian completed her undergraduate degree in Zoology at the University of Reading and her Master’s by Research with the University of Southampton and Marwell Wildlife studying elephants in a wildlife corridor in Kenya. 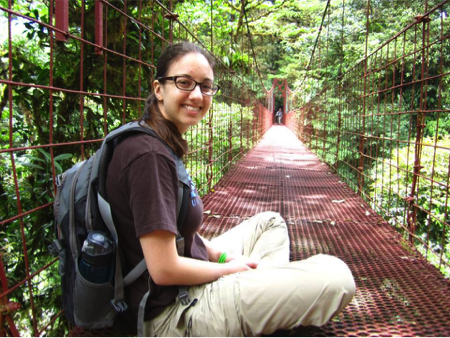 She loves to travel and explore new places – and if she gets to put up a few camera traps all the better! 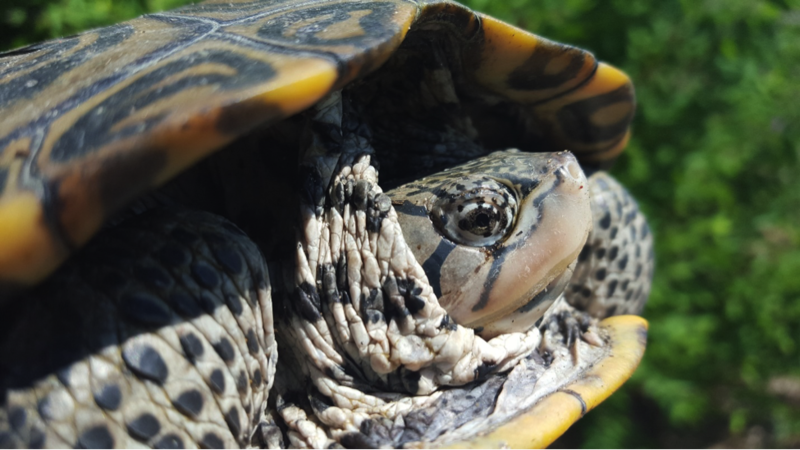 Her fieldwork has taken her to Costa Rica, South Africa, Tanzania, Kenya, and Romania; however, she is now back in Devon, UK looking to move on to a PhD and camera trapping any innocent animals that pass by! She can be found on Twitter at @SianGreen92.